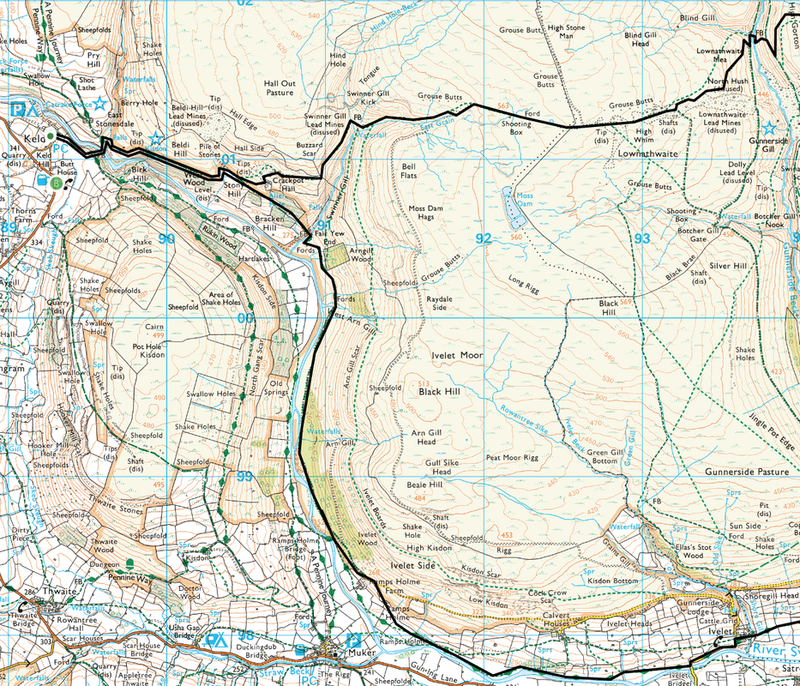 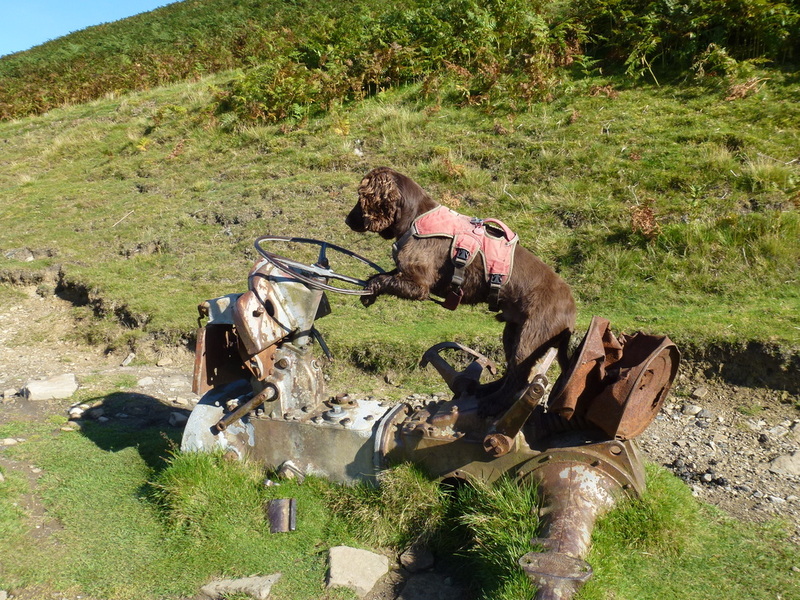 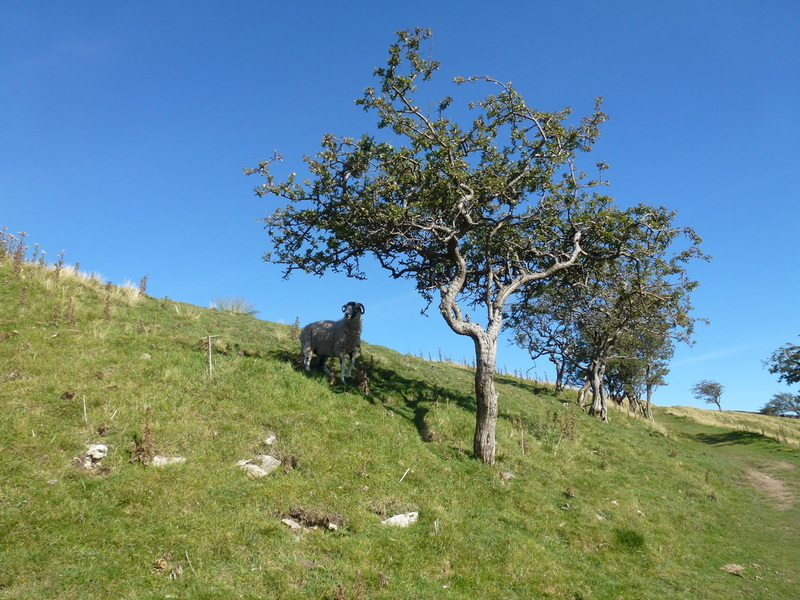 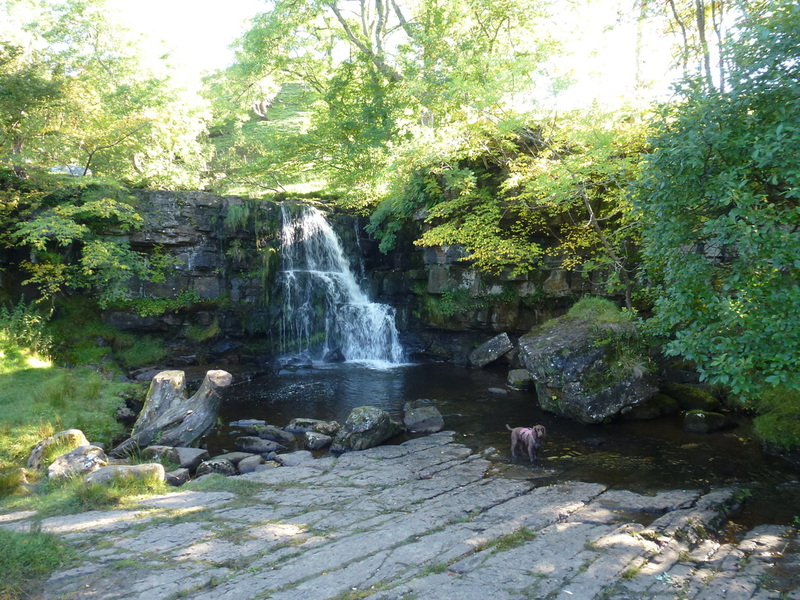 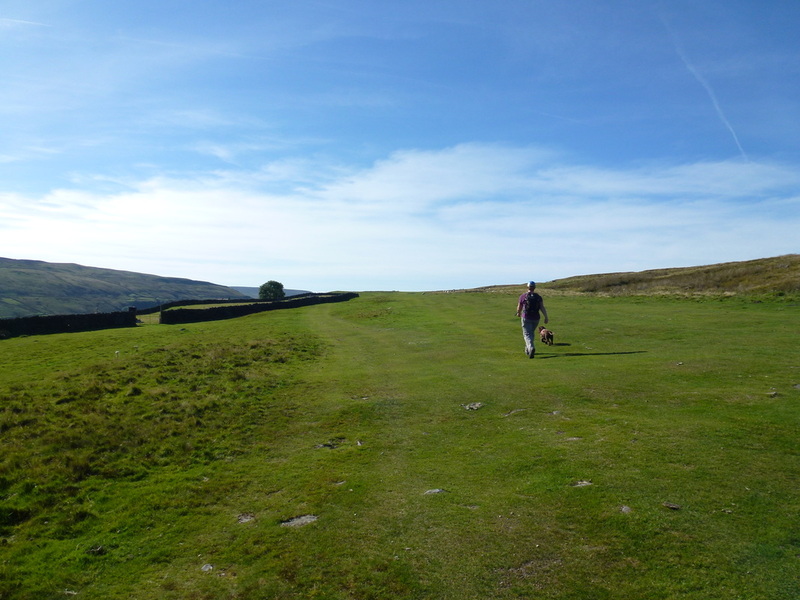 Todays walk was one we have done several times and is in a beautiful part of the Yorkshire Dales. 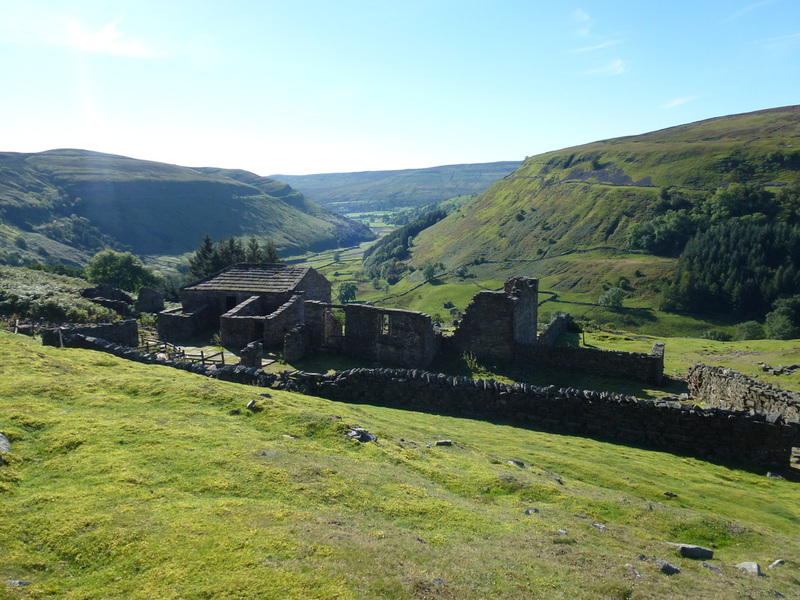 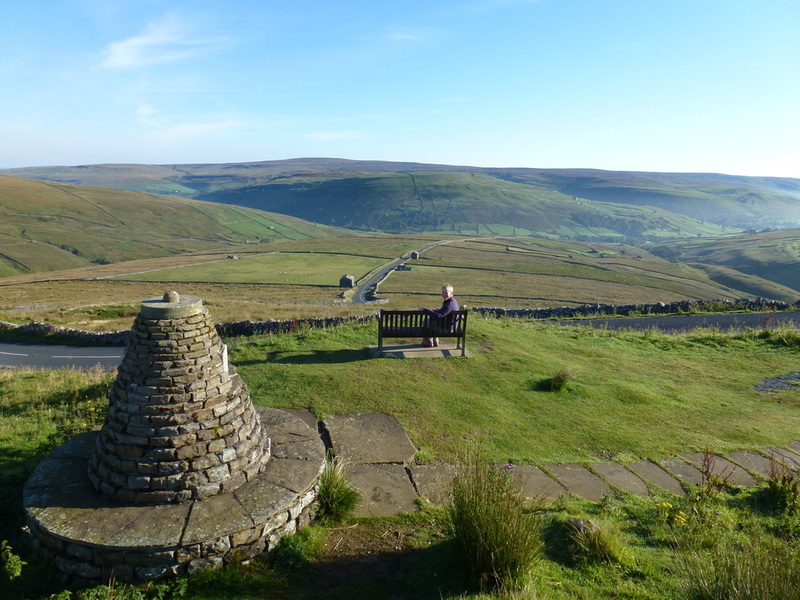 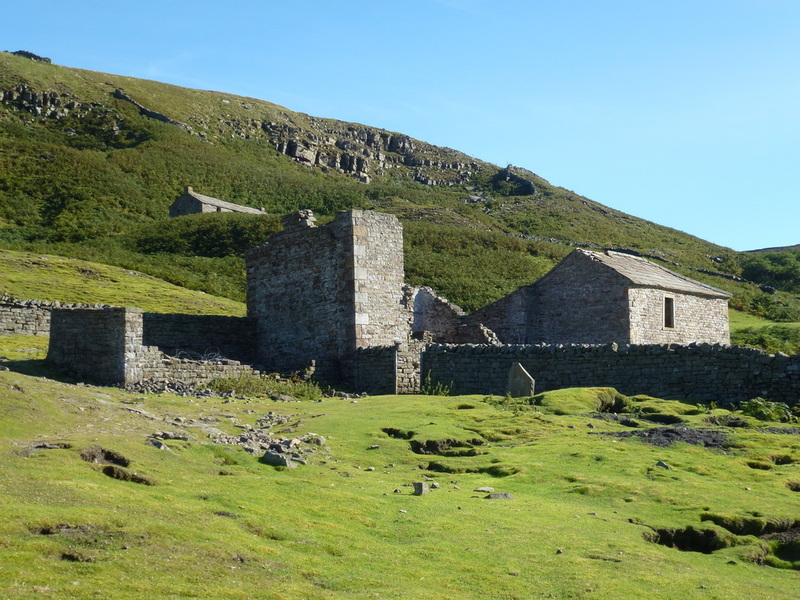 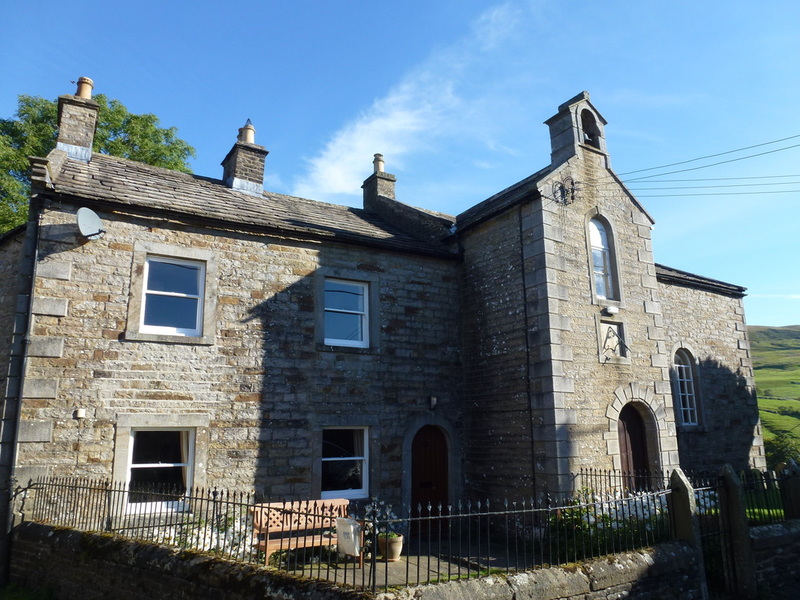 The starting point, Keld, is a picturesque little hamlet and is the point where the Coast to Coast Walk & Pennine Way meet up. 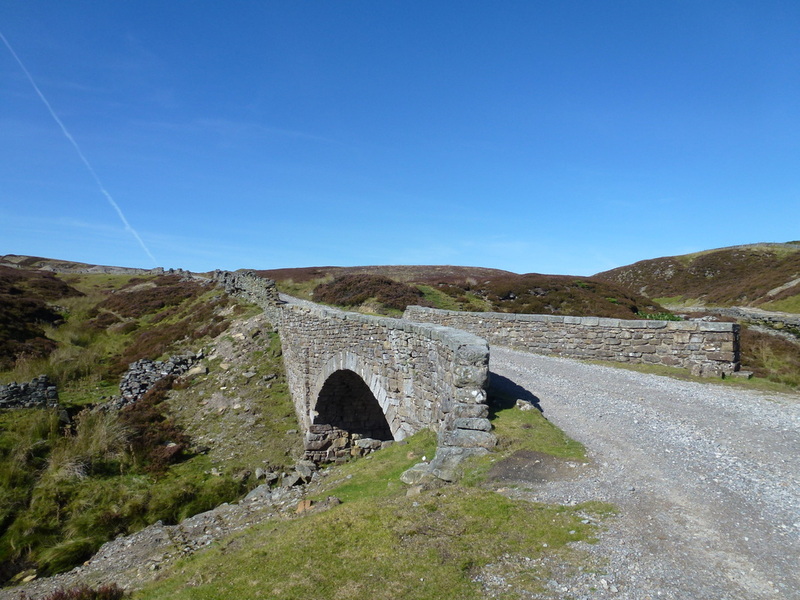 Indeed, today would see us follow a section of the Coast to Coast route as far as Surrender Bridge where we would then make our back to Keld via the lovely villages of Gunnerside & Muker. 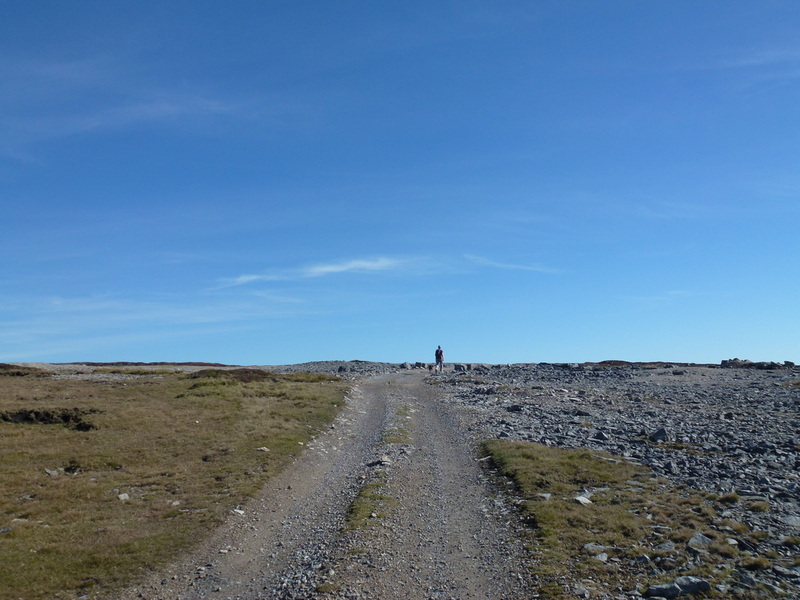 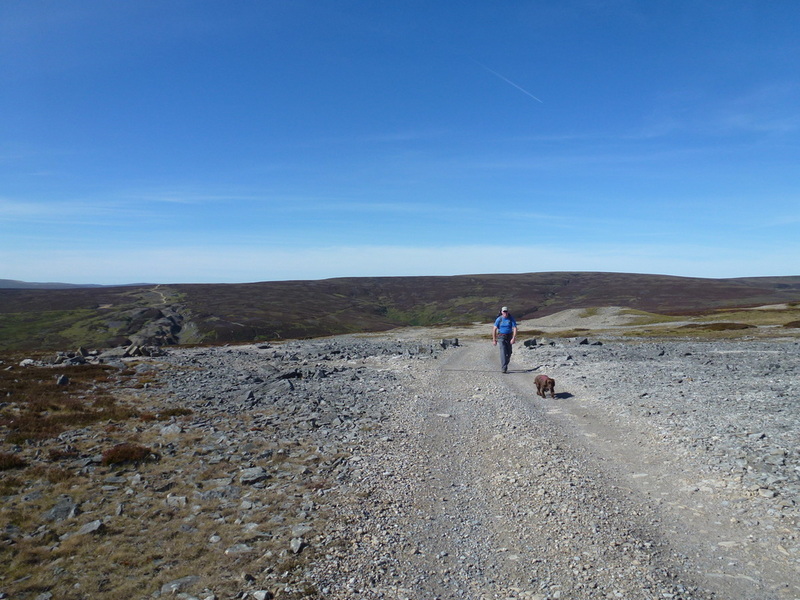 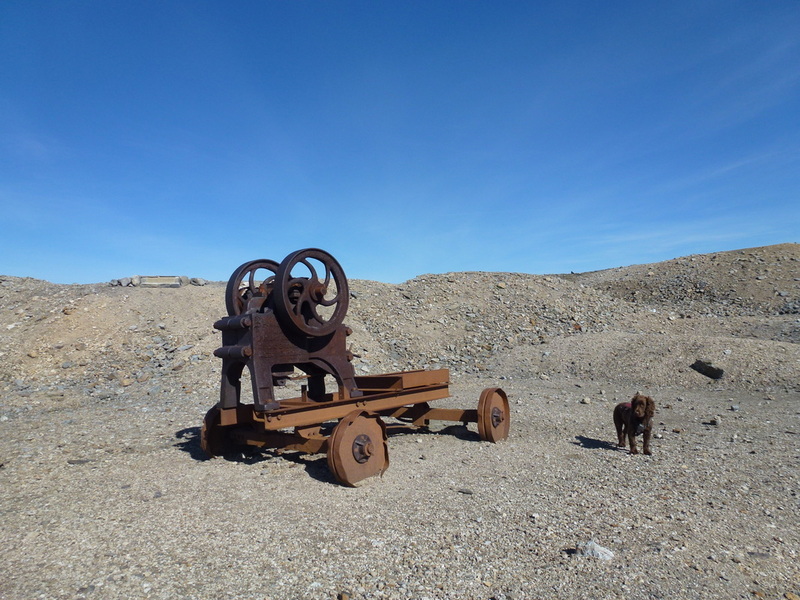 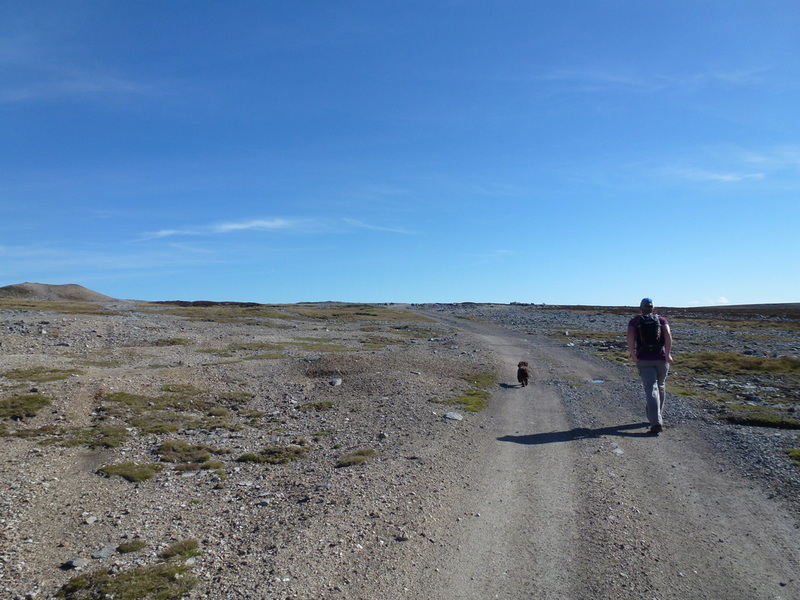 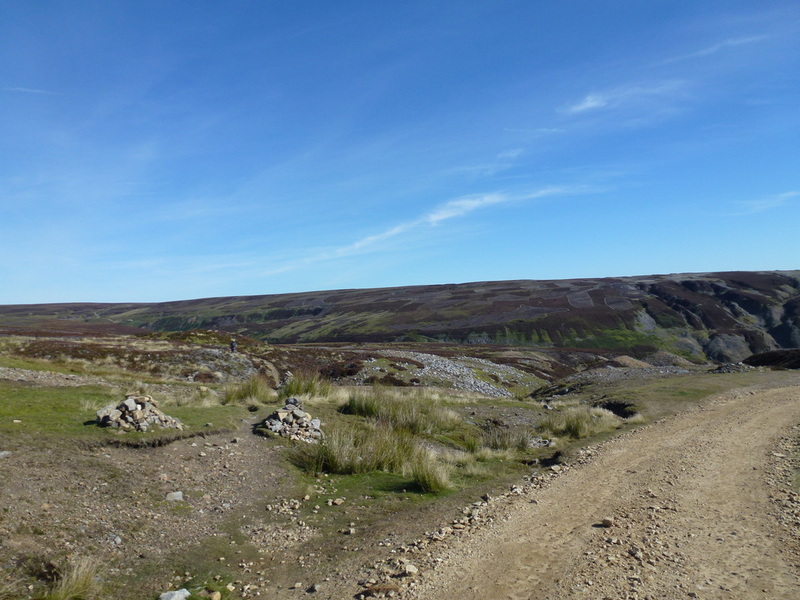 Add into the mix historical interest, lonely moorland and fantastic weather and we were in for a real treat today. 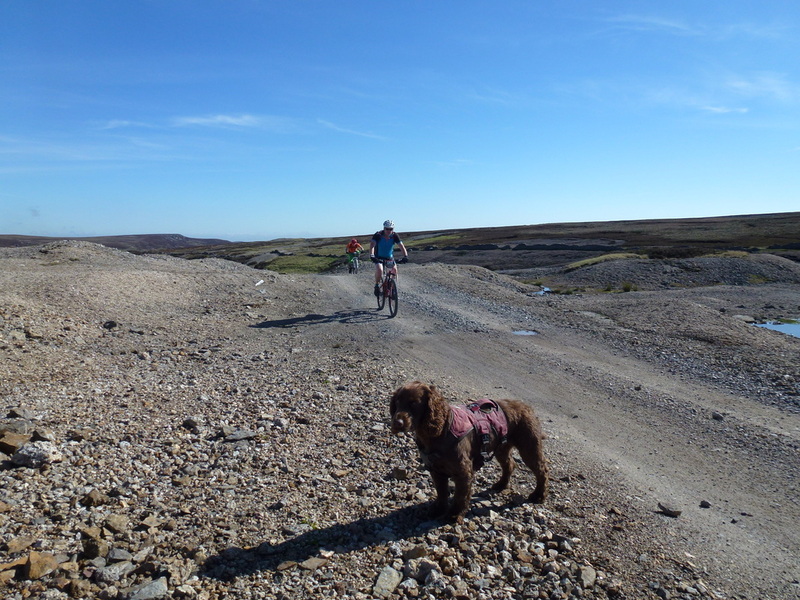 Before arriving in Keld we travelled over the Buttertubs Pass from Hawes. 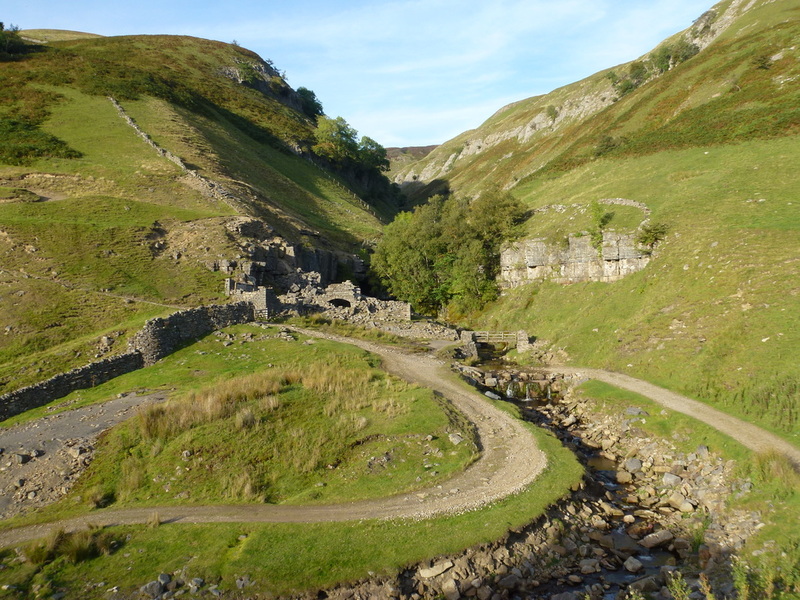 The Pass is famous for its 20 metre deep limestone potholes and is so named because farmers would rest up here on their way to market. 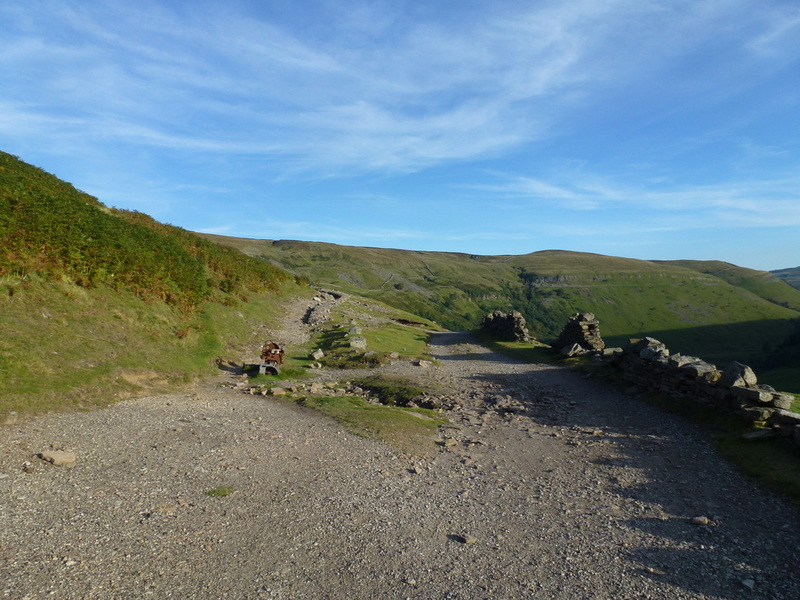 In hot weather they would lower the butter they had produced into the potholes to keep it cool. 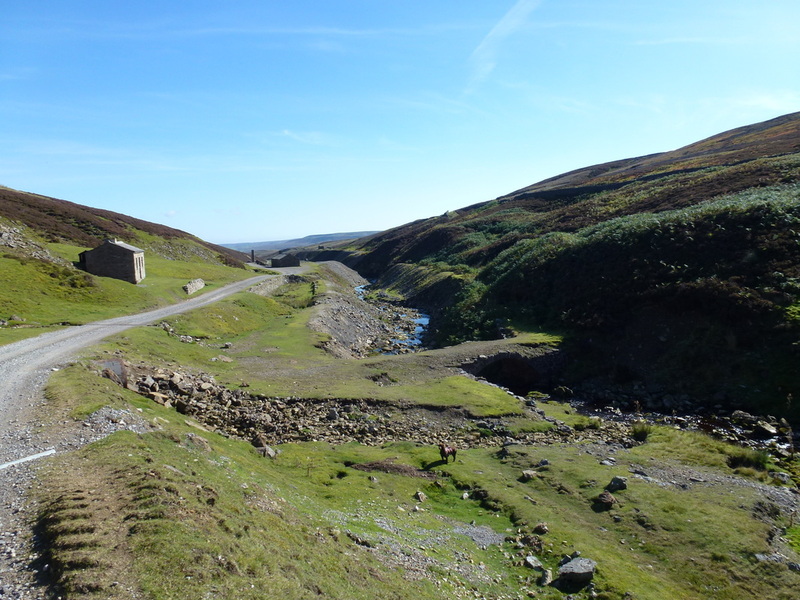 The pass is a popular cycle route and featured in the first stage of the 2014 Tour de France. 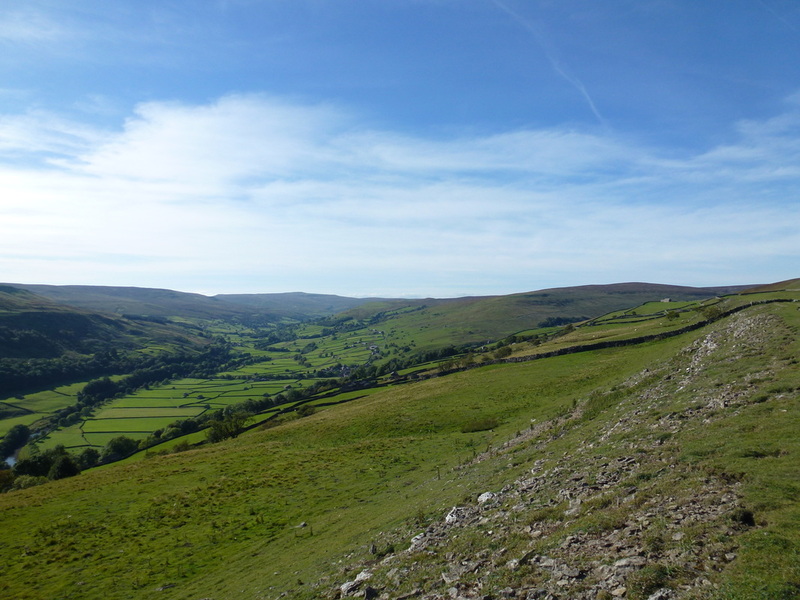 There is a fantastic view from the top of the pass over towards Muker and Gunnerside. 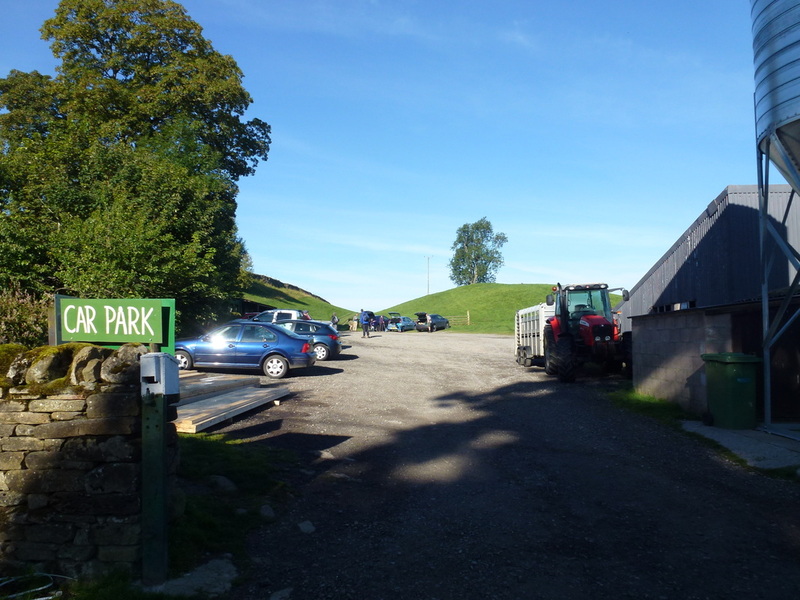 The walk started from the large Car Park at Park Lodge Farm which also has toilet facilities and a very good cafe. 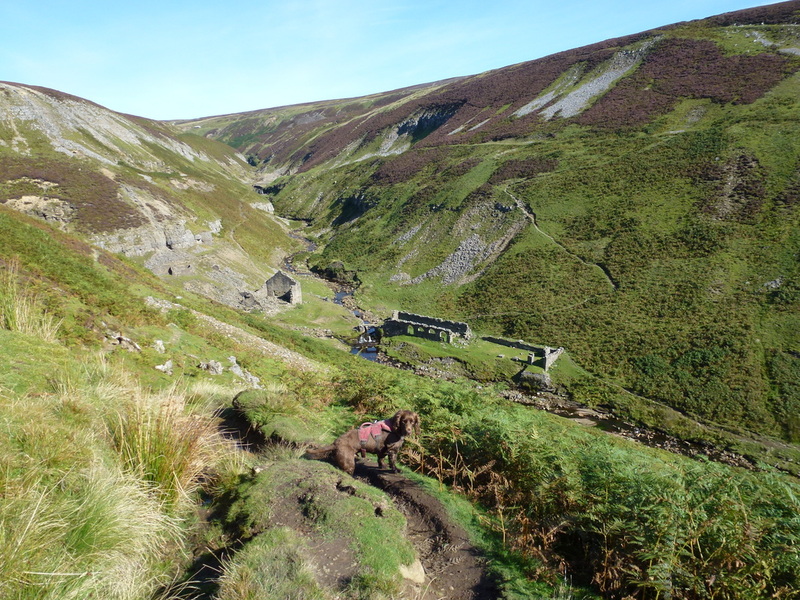 As is tradition, we relieved them of two of their fine Bacon Rolls and sat in the sun, enjoying this soft start to the walk. 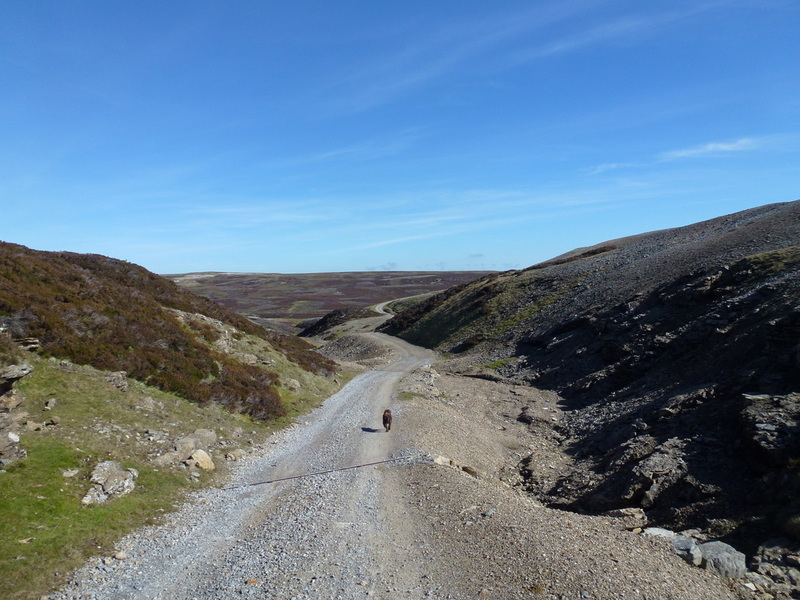 Food over with, it was time to get cracking and we left Keld via the footbridge over the Swale, passing East Gill Force and heading gently uphill to reach an old tractor. 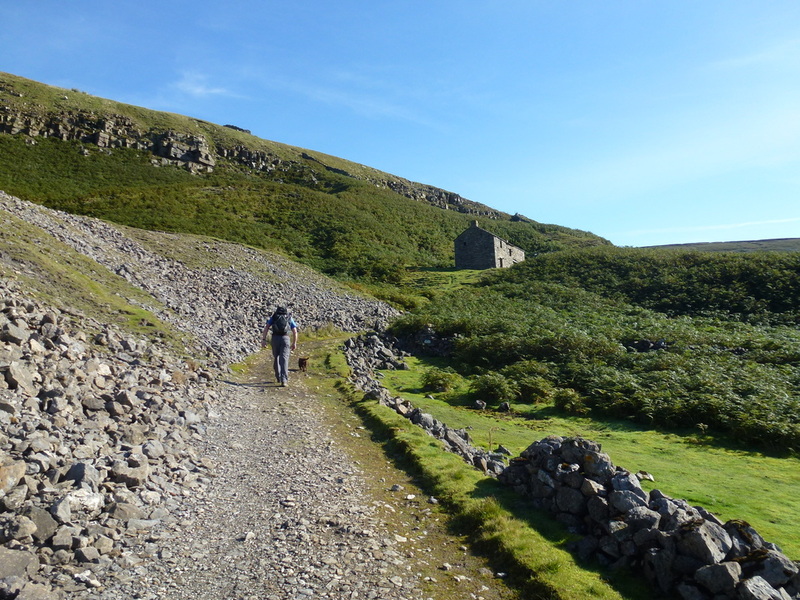 Forking left, the path continued uphill to reach the ruined farmhouse at Crackpot Hall, enjoying superb views down the Swale towards Muker. 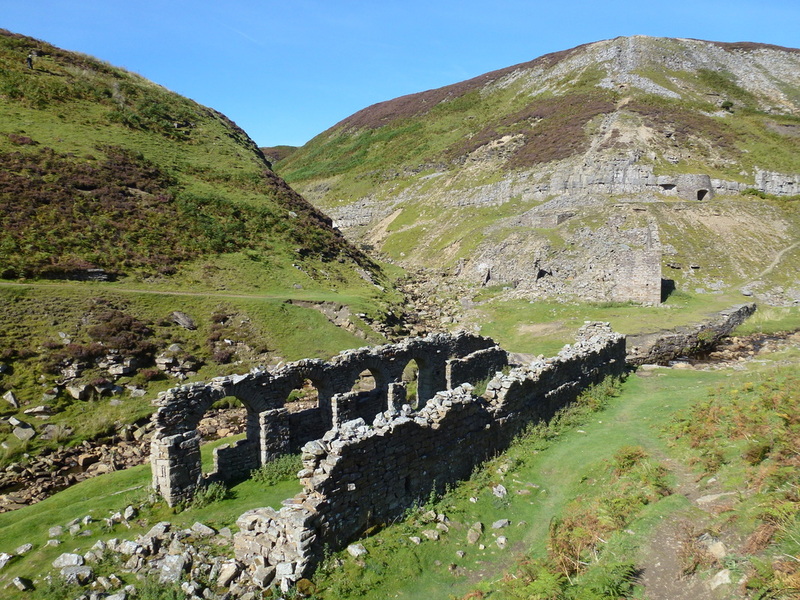 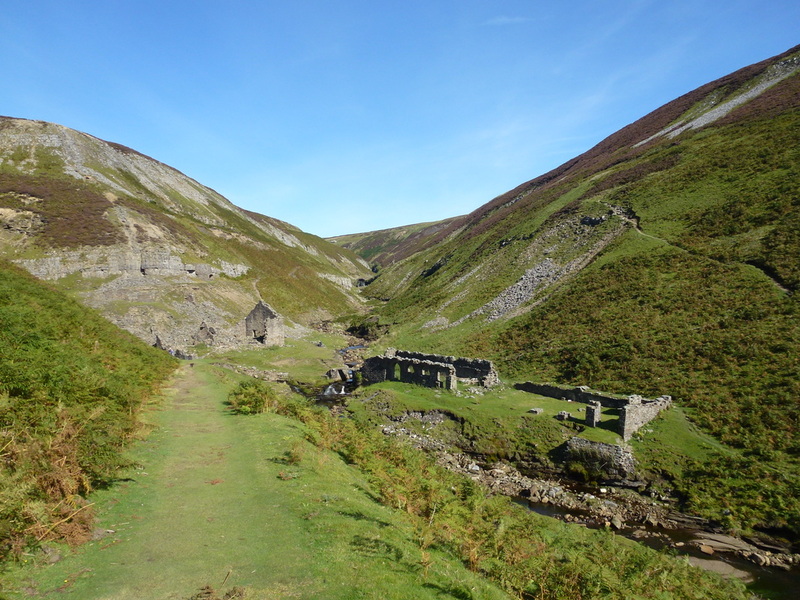 The path continued above the ruins and contoured around the lower slopes of Hall Side before reaching the head of Swinner Gill and the old mine workings. 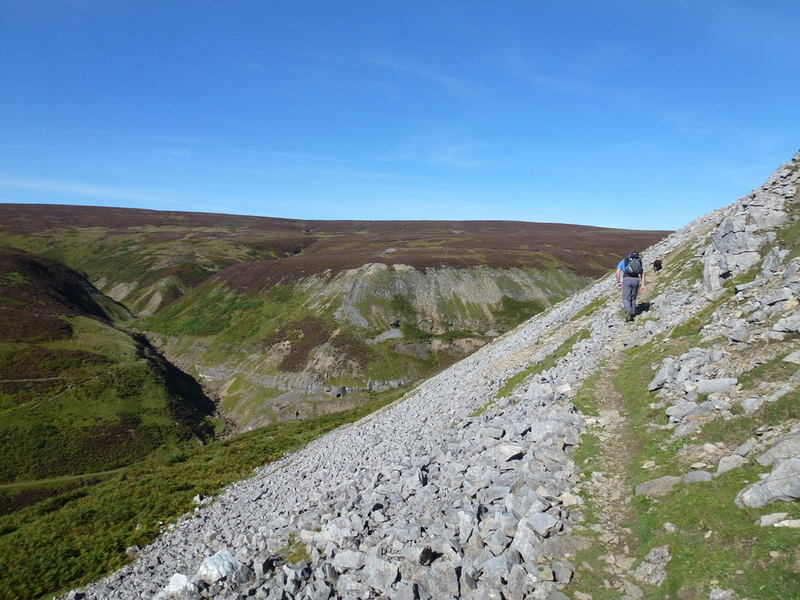 From Swinner Gill the route continued up on a gradually rising path to reach a track coming in from Ivelet. 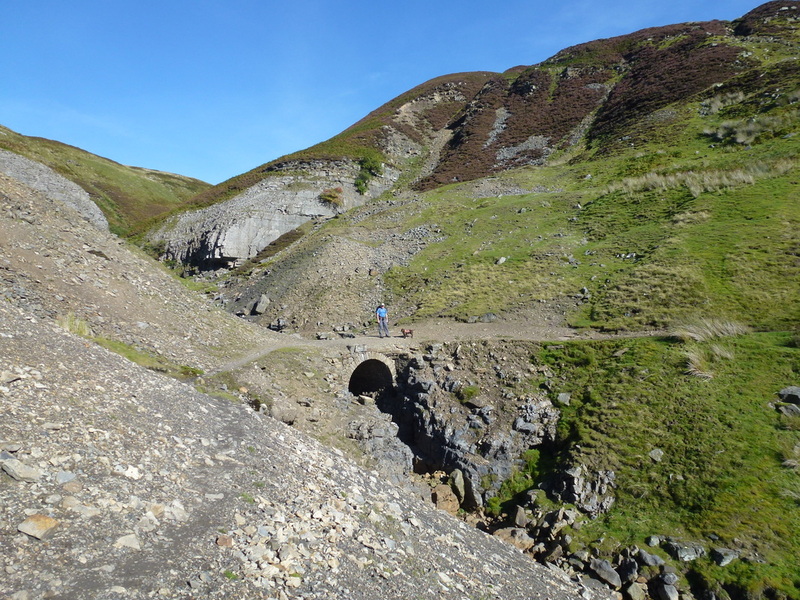 Resisting the urge to detour and bag Rogan's Seat, we followed the track almost dead level to transit delightfully to a pair of cairns which marked our descent to the Blakethwaite Mine workings. 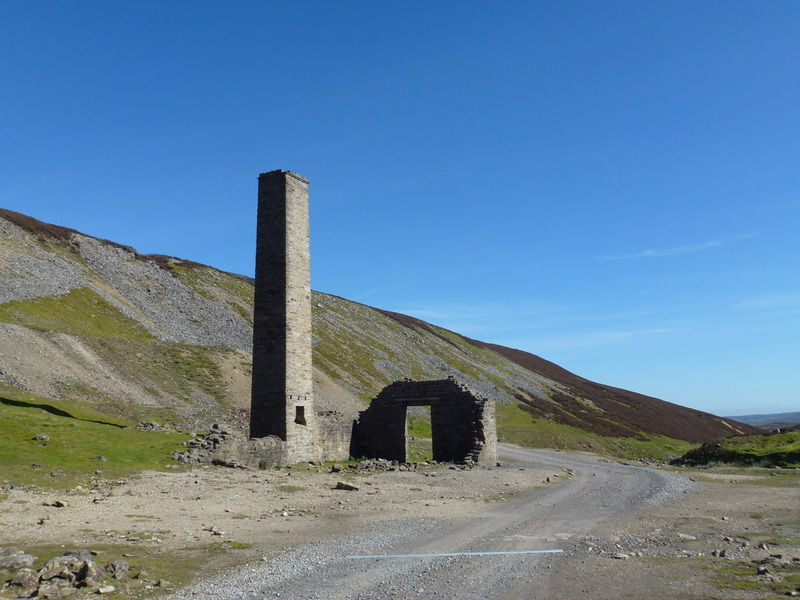 Reaching the mine workings we rested a while in this strangely haunting place before zig zagging once more up High Gorton to reach the moon like scene of Melbecks Moor - all is crushed stone up on Melbecks and not much sign of vegetation. 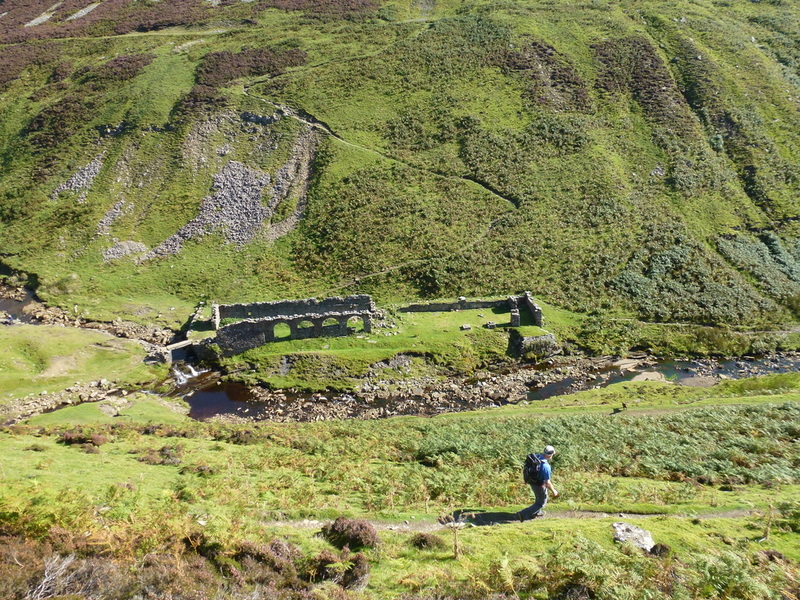 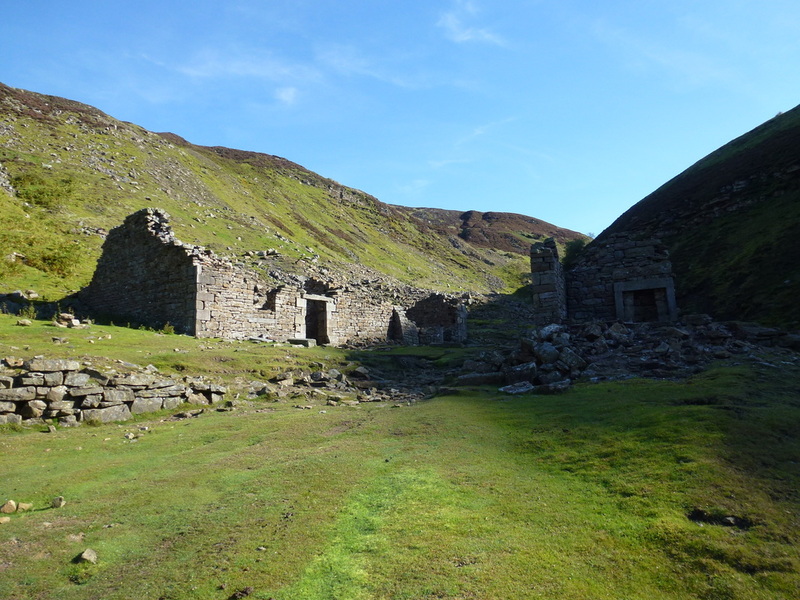 The route undulated now and then before dropping down to Level House Bridge, reaching the many old mine buildings at Old Gang. 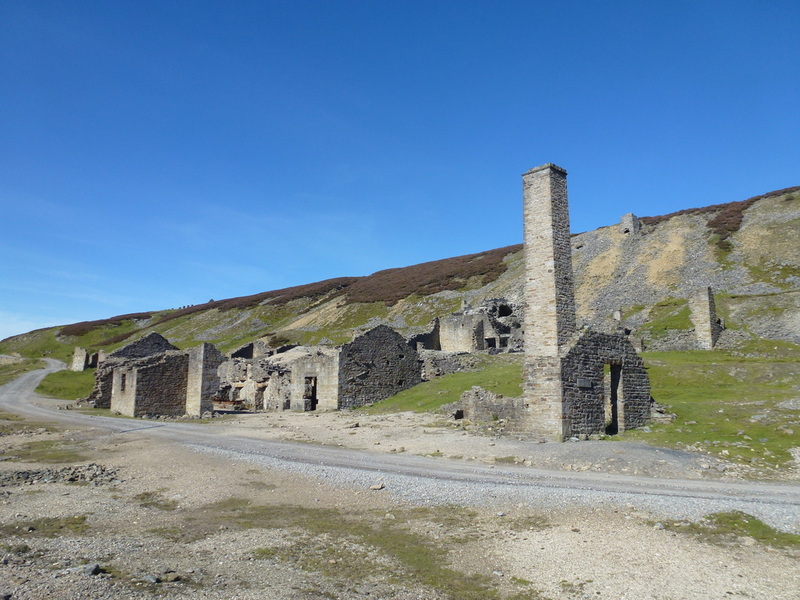 It seemed strange to think that just over 100 years ago this area would have been a hive of activity - now it is deserted although the majority of the buildings remain - particularly the chimney. 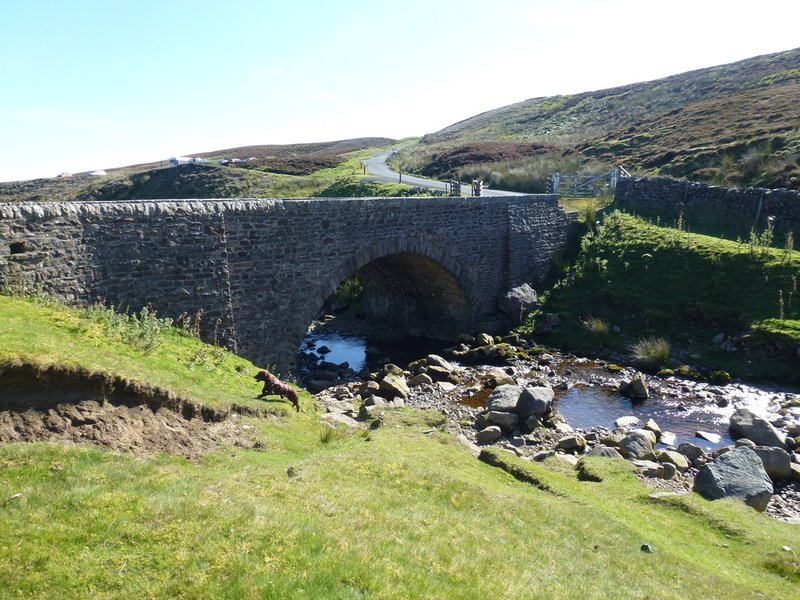 Shortly after Old Gang we reached Surrender Bridge and left the Coast to Coast path to head back to Gunnerside. 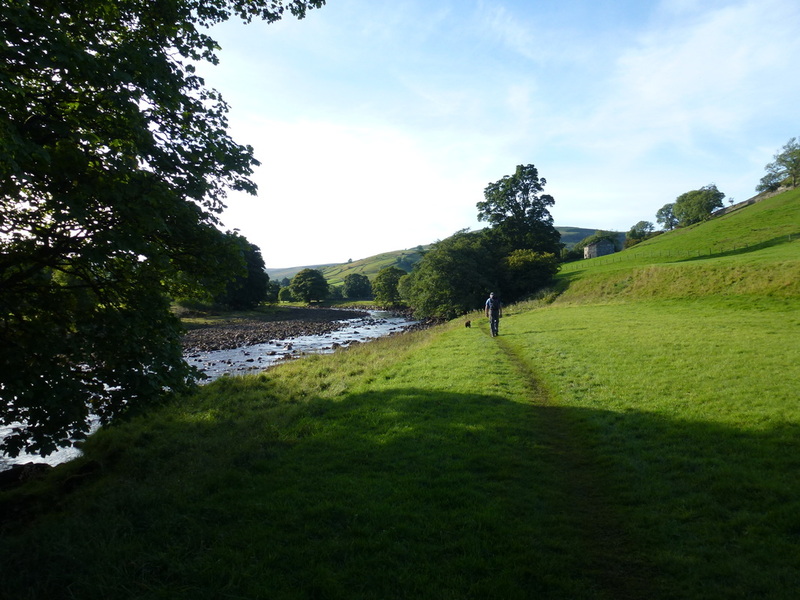 The route back to Gunnerside is the low level Coast to Coast path and was a delightful ramble, latterly on wide grassy paths which eventually delivered us to this lovely village and its pub. 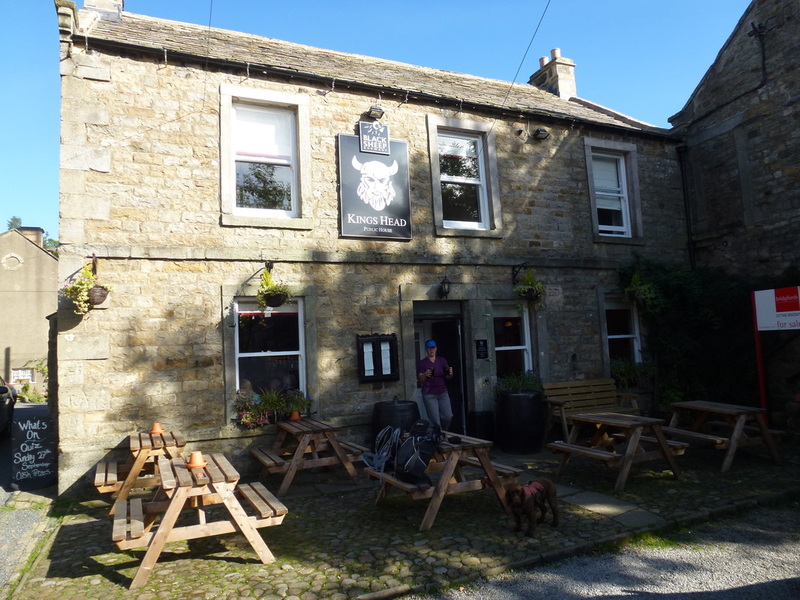 It was really good to see that Gunnerside had its pub back as last time we visited The King's Head was looking pretty sorry for itself - today it was busy. 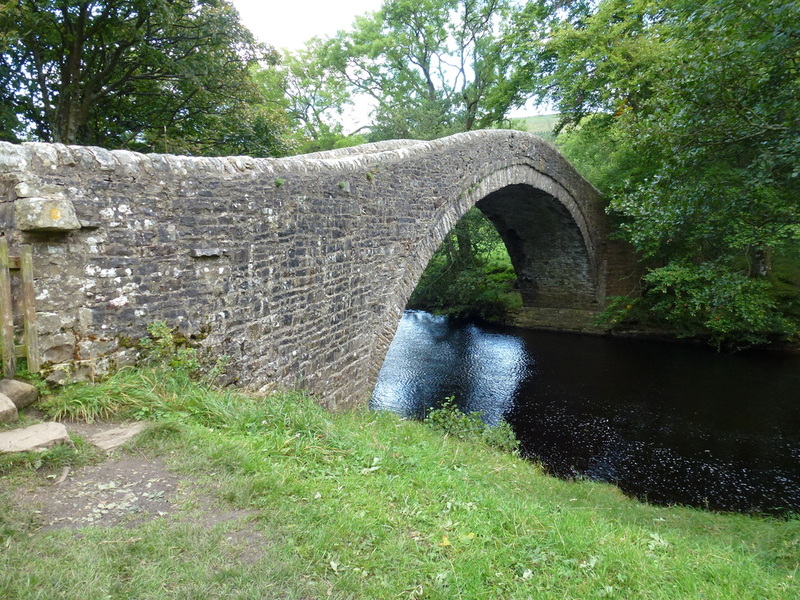 After a nice cool drink we left Gunnerside to head for Muker via Ivelet and its impressive bridge. 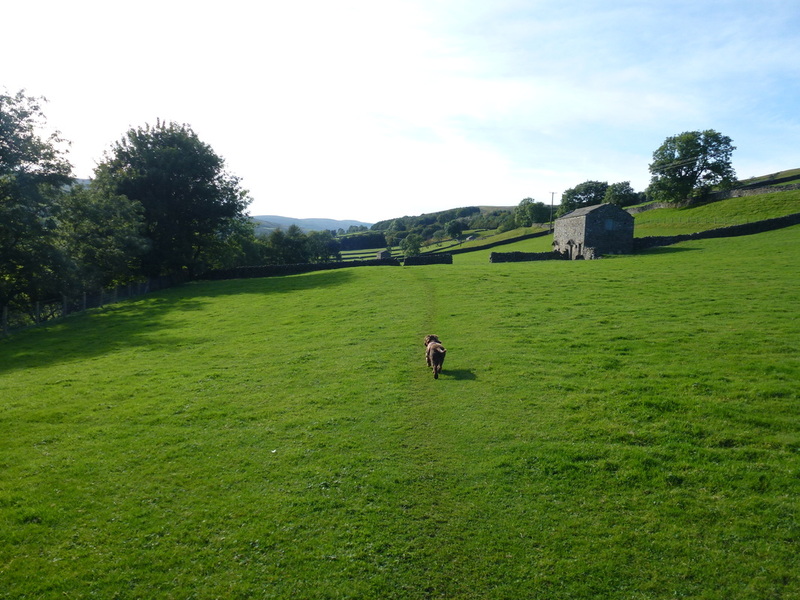 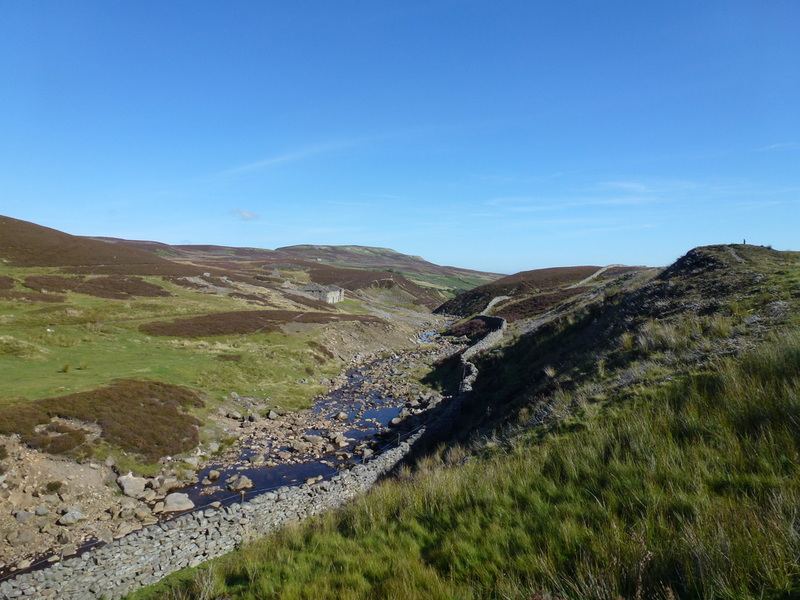 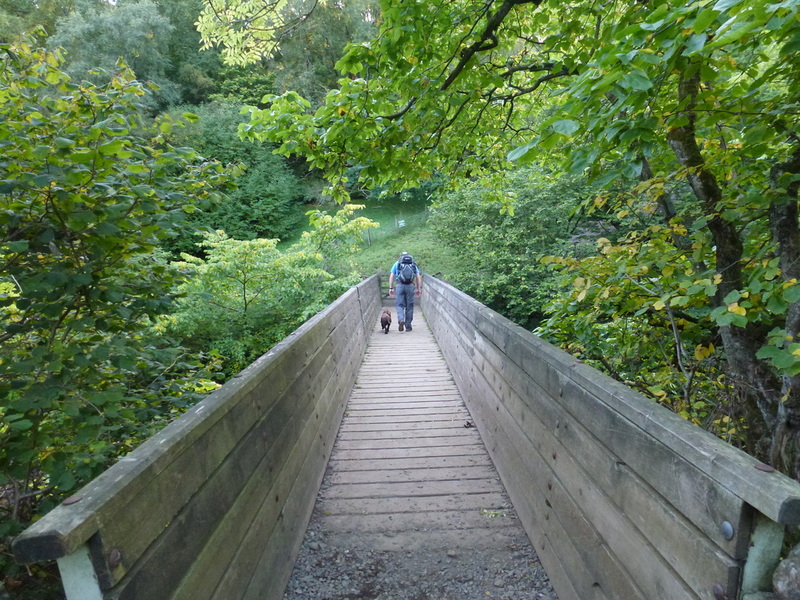 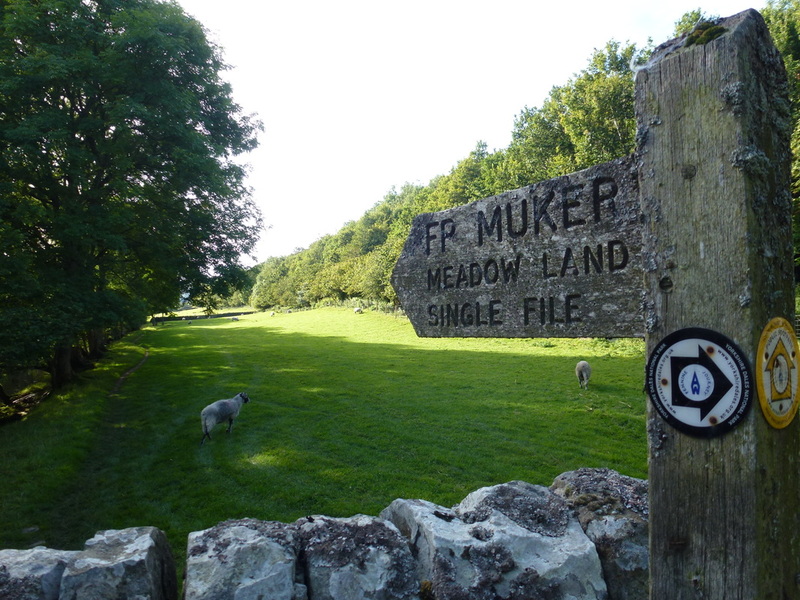 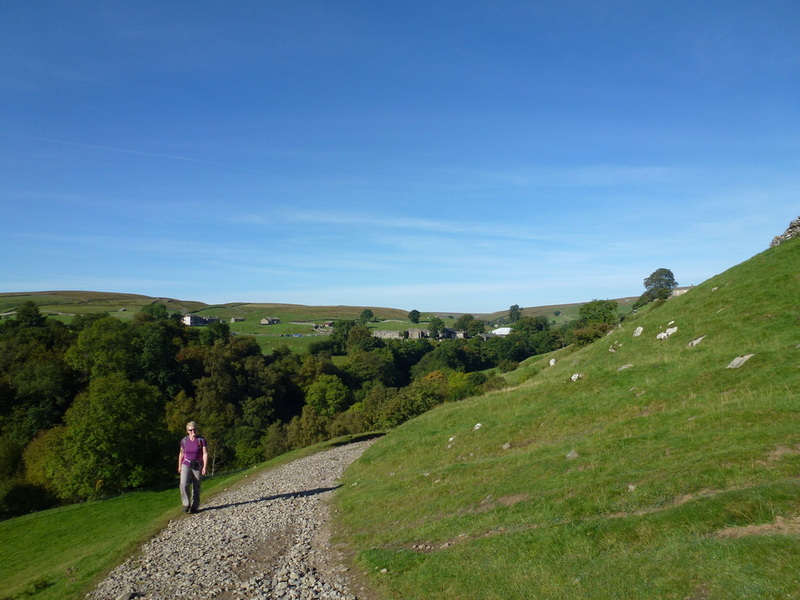 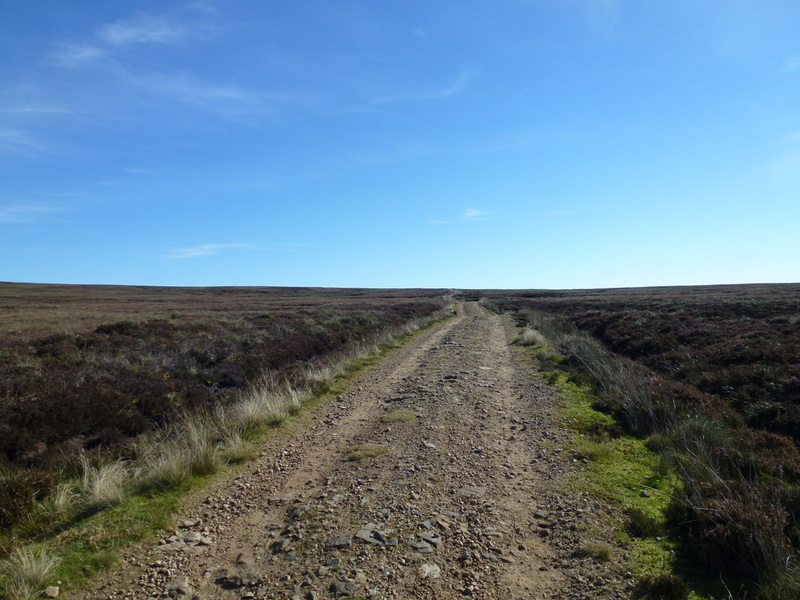 The path to Muker has the Swale for company and is another super walk over springy field paths and there is an option to visit the village however we headed for the bridge at Ramps Holme, bypassing it to head back along the Swale to Keld and journey's end. 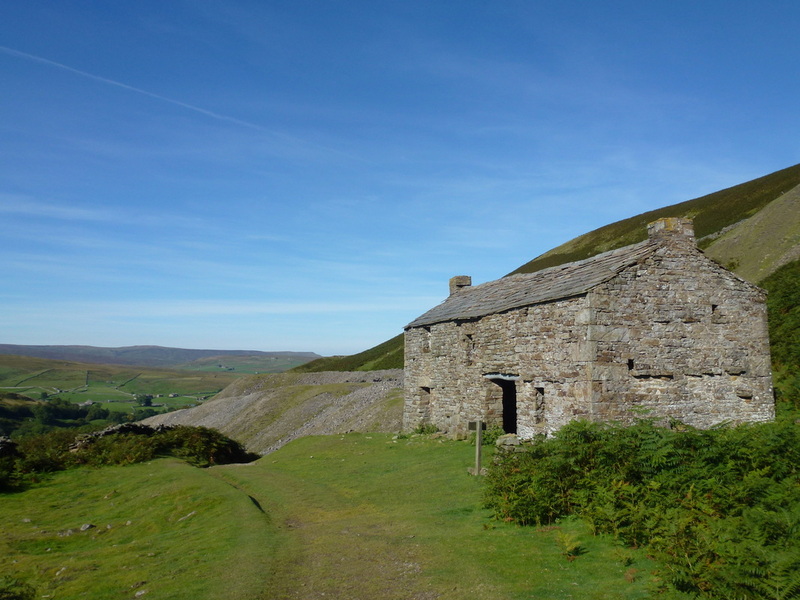 Another cracking day out in the Yorkshire Dales. 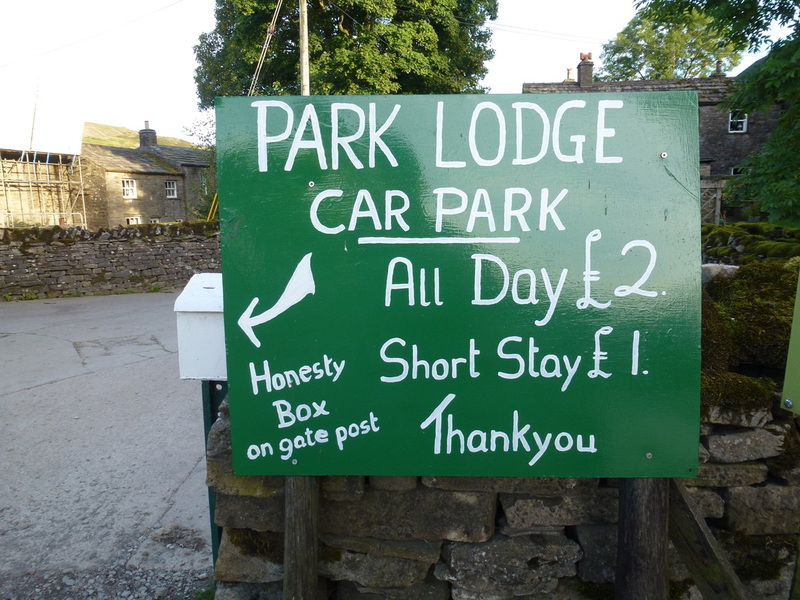 ....... which does great Bacon Rolls! 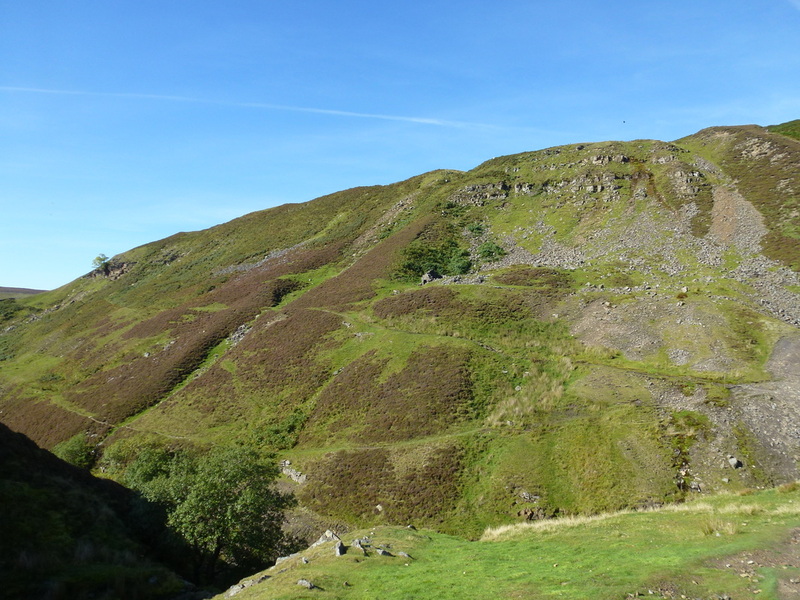 ..... and from the path above. 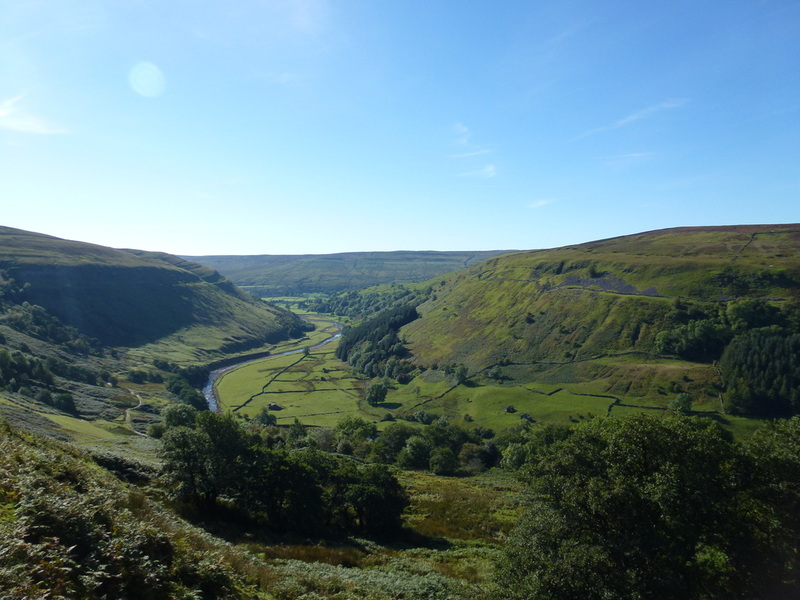 Just look at the view they had from the property. 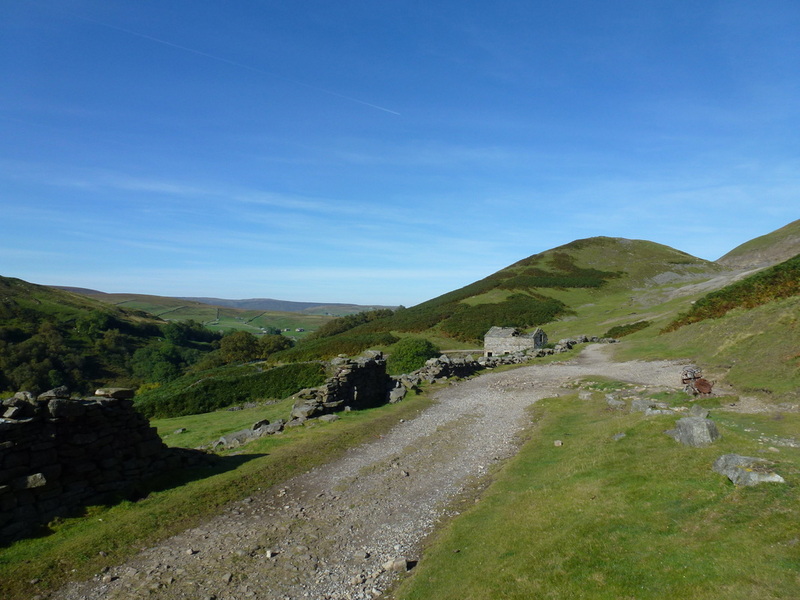 Kisdon Hill is to the right. 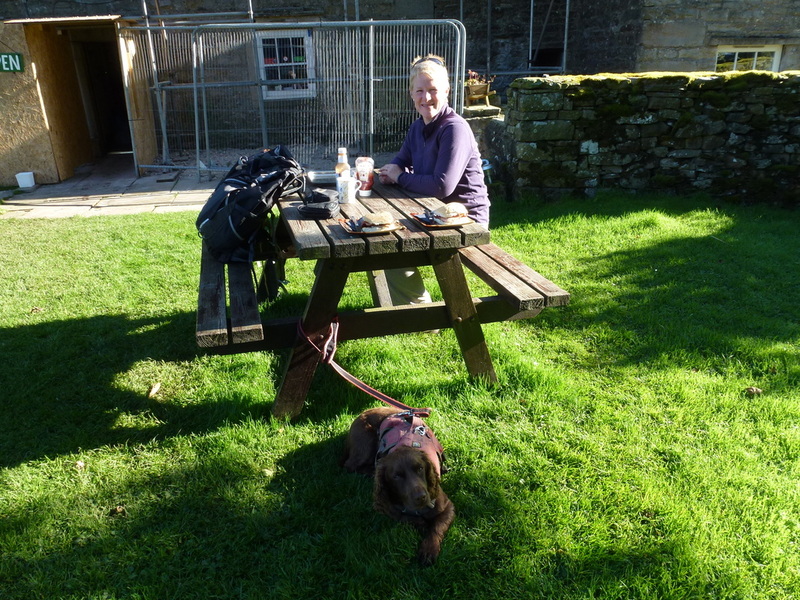 Cheers for Beers as Mrs W gets them in at The King's Head, Gunnerside. 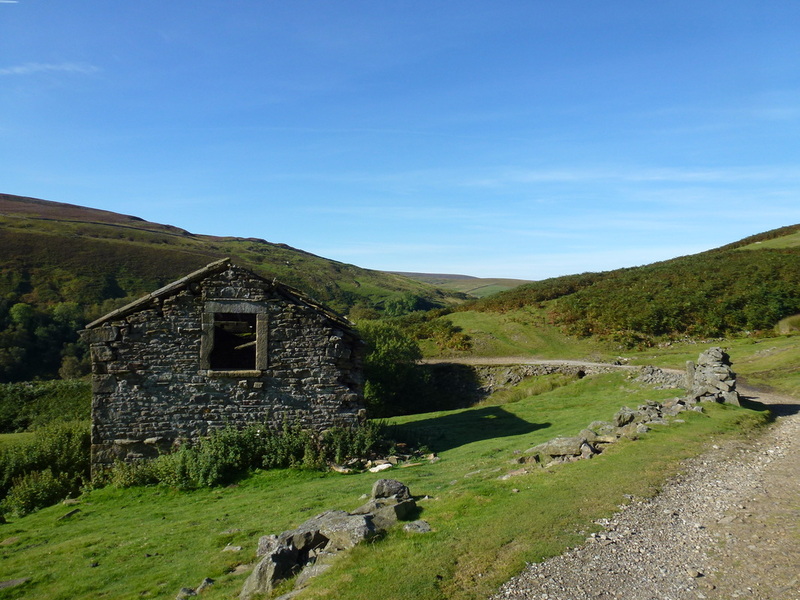 This was shut last time we were here.